As enterprises are shifting their data center strategy to include and often lead with the public cloud server instances, they are mindful that the shared security model for protection is a key consideration. Public cloud providers, like Amazon Web Services (AWS) and Microsoft Azure, protect the perimeter, and users must secure the content. But how can forward-thinking enterprises protect against zero-day and advanced persistent threats while keeping costs in line with their cloud strategy? McAfee Public Cloud Server Security Suite delivers comprehensive cloud security to help extend and manage security policies for servers in Amazon Web Services (AWS), Microsoft Azure, and other public clouds. It delivers wider visibility into virtualized server instances in the public cloud, applies security policies to virtual machines when they are provisioned, deploys comprehensive protection with a powerful combination of blacklisting and whitelisting technologies, and dynamically manages your cloud computing environment in concert with desktop, mobile, and physical servers with McAfee ePolicy Orchestrator (McAfee ePO) software. Safeguard systems and files from viruses, spyware, worms, Trojans, and other cloud security risks; detect and clean malware; and configure policies to manage quarantined items. Prevent viruses entering through removable media, the web, and remote networks. Host firewalls deny passage of unauthorized traffic into a system unless it complies with established rules, preventing malware from entering and propagating throughout the cloud server. Ensure that hosts are kept to a known, secure footprint by preventing unwanted applications from executing. Protect against zero-day and advanced persistent threats (APTs) without signature updates, resulting in quicker time-to-protection. Track and validate attempted changes in real time on the virtual server, enforce change policies, and block unauthorized changes to critical system files, directories, and configurations. 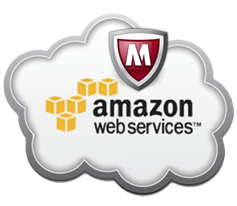 Discover Amazon EBS storage volumes and use the McAfee ePO console to encrypt them in just a few clicks. Visibility of elastic cloud server instances as they emerge and retire. Discovery of server instances in the public cloud with McAfee Data Center Connectors to help deliver unified policy configuration and enforcement, even in organizations faced with shadow IT challenges. Protection of server instances with a unique combination of antivirus, host-based firewall, application whitelisting, intrusion protection, and data protection technologies across all public cloud implementations running in either Microsoft Windows or Linux environments. Management of security policies for server instances in the public cloud to ensure extension of best practices, all from a unified management platform. Security-minded IT professionals need to manage risks in order to provide the same level of confidence in data in the cloud as they demand from their on-premises servers. McAfee Public Cloud Server Security Suite is optimized for cloud users with the same world-class McAfee VirusScan Enterprise and intrusion prevention system (IPS) technologies as in our McAfee Server Security Suite Essentials and McAfee Server Security Suite Advanced. As part of our core server protection, McAfee Public Cloud Server Security Suite offers McAfee VirusScan Enterprise as the core antimalware solution to protect server instances running either Microsoft Windows or Linux. Though antivirus is key to security, additional solutions are critical to protect against advanced threats. McAfee Host Intrusion Prevention for Servers safeguards businesses against complex security threats that may otherwise be unintentionally introduced or allowed. McAfee Public Cloud Server Security Suite includes McAfee Application Control for Servers, a whitelisting solution that allows only authorized software to run on servers. This centrally managed whitelisting solution uses a dynamic trust model and innovative security features that block unauthorized applications and foil advanced persistent threats (APTs)—without labor-intensive lists to manage. Whitelisting significantly lowers host performance impact through protection from threats without signature updates. A firewall for Linux and Windows systems prevents malware and botnets from entering and propagating throughout the cloud servers by blocking unauthorized network traffic. Manage encryption for EBS volumes of registered AWS cloud accounts with McAfee Data Protection for the Cloud. Volumes with pre-existing data can be encrypted conveniently from McAfee ePO software. In addition, McAfee Data Protection for the Cloud integrates with Amazon’s Key Management Service (KMS). Customers have scarce incremental resources to manage an additional security system for their cloud servers. And with short-term internal projects being assigned to public clouds without proper IT security protocol, the once robust walls of security can quickly become porous, while breach potential is increased exponentially. McAfee Public Cloud Server Security Suite leverages the power and scalability of McAfee ePO software to identify, manage, and report across the entire server infrastructure: physical, virtual, and cloud. 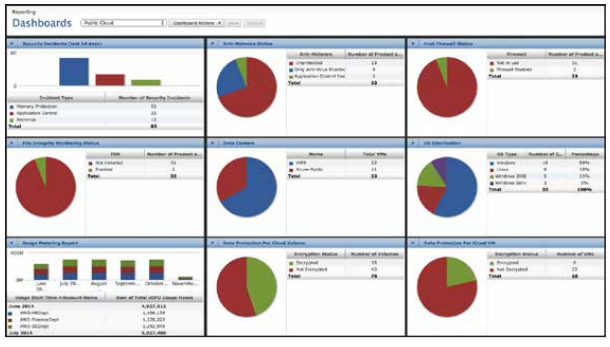 McAfee ePO software provides a single “pane of glass” visibility into those shadow IT instances for highly scalable, flexible, and automated centralized management and enforcement of security management policies to identify, manage, and respond to security issues and threats. Further, as DevOps tools are proliferating, the need to work seamlessly with such tools is critical. McAfee Public Cloud Server Security Suite is designed to work seamlessly with the latest DevOps tools, such as Chef and Puppet Labs. Business expansion is creating additional reliance on IT to provide faster responses to infrastructure needs. Today, many IT departments meet this need by using Infrastructure-as-a-Service (IaaS) to help deliver reduced costs, greater agility, and enhanced scalability. Moreover, the move towards using IaaS to meet growing infrastructure needs moves many companies away from utilizing CAPEX to OPEX. To fully accommodate this dynamic environment, it is essential that the pricing of security software solutions mirrors that of the underlying computing infrastructure. McAfee Public Cloud Server Security Suite is priced by the hour, giving customers the flexibility to pay for server security in the manner that fits best with their financial objectives, while adapting to computing resource consumption within an IaaS infrastructure. Figure 1. Single-pane-of-glass dashboard for McAfee Public Cloud Server Security Suite. McAfee ePO Software Single-console environment provides comprehensive, centralized management for all Intel Security endpoint capabilities. Single-pane manageability for physical and virtual servers, including those in the private and public cloud for greater security visibility. Simplify operational aspects and time investment for administrative staff. AWS hierarchy of systems are logically grouped under region. Lower hardware costs due to reduced server footprints needed. McAfee Data Center Connectors for Amazon AWS, Microsoft Azure, and OpenStack Full visibility of virtual servers residing in public cloud infrastructures. Discover server instances within Amazon AWS, Microsoft Azure, and OpenStack public cloud environments for full visibility of what needs to be secured. Visibility ensures that machines are provisioned, and automatically protect these instances with security policies to ensure proper security posture. Performance improvements for simultaneous synchronization of multiple accounts. McAfee Data Protection for the Cloud Manage encryption for EBS volumes of registered AWS cloud accounts. Encryption helps protect data and intellectual property from unauthorized access. Volumes with pre-existing data can be encrypted conveniently from McAfee ePO software. Integrates with Amazon’s Key Management Service (KMS) for encryption. Minimal performance impact with Amazon’s native EBS encryption. McAfee VirusScan Enterprise for Servers Core anti-malware for Windows and Linux servers. Optimized for fast performance and reduced system impact to help ensure optimal server performance. Maximum defense against malware: Safeguards systems and files from viruses, spyware, worms, Trojans, and other security risks. It detects and cleans malware, and allows users to easily configure policies to manage quarantined items. Proactive protection from attacks: Real-time scanning ensures all systems, including remote locations, are protected from current and emerging threats. McAfee VirusScan Enterprise also guards against buffer overflow exploits that target vulnerabilities in Microsoft applications. McAfee Host Intrusion Prevention The IPS function offers critical, universally needed protection against known and zero-day threats. 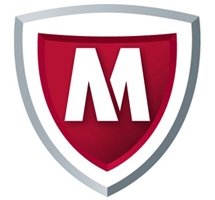 McAfee Host Intrusion Prevention safeguards business against complex security threats that may otherwise be unintentionally introduced or allowed. The next-generation technology offers stronger protection against viruses, worms, Trojans, and other threats that can steal your critical data or stall your business. It shields your highly vulnerable applications from attacks, providing peace of mind. Protect your devices from viruses entering through removable media, web, and remote network. McAfee Enterprise Firewall for Linux and Windows Host-based firewall to protect a server instance from unauthorized access and attack. Prevents malware from entering and propagating to server instances in the public cloud. McAfee Application Control Ensure that hosts are kept to a known secure footprint by preventing unwanted applications from executing. Significantly lower host performance impact over traditional endpoint security mechanisms. Protects against zero-day and APTs without signature updates, resulting in quicker time-to-protection. Dynamic whitelisting requires lower operational overhead compared to legacy whitelisting techniques. McAfee Change Control Provides file integrity monitoring via continuous detection of system-level changes across distributed and remote locations. Prevents tampering by blocking unauthorized changes to critical system files, directories, and configurations, saving time for administrators in troubleshooting security breaches. Tracks and validates every attempted change in real time on the server, enforcing change policy by a time window, source, or approved work ticket. Continuous control minimizes the impact from ad hoc or unauthorized changes. Download the McAfee Public Cloud Server Security Suite Datasheet (PDF). For more than 1,000 CPU 100 hours, please use our Quote Request Form!